Ms. Jacobs spent the last year and a half of her career from 2016-2017 as the State Department's first Transparency Coordinator. 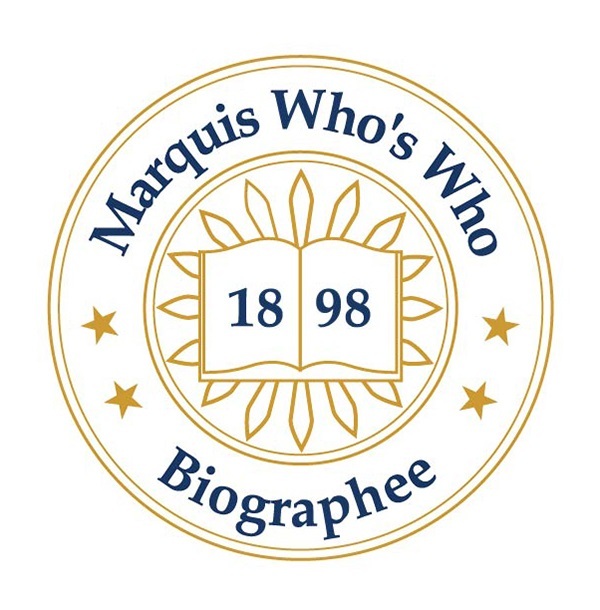 WASHINGTON, DC, August 17, 2018 — Marquis Who's Who, the world's premier publisher of biographical profiles, is proud to present Janice L. Jacobs with the Albert Nelson Marquis Lifetime Achievement Award. An accomplished listee, Ms. Jacobs celebrates many years' experience in her professional network, and has been noted for achievements, leadership qualities, and the credentials and successes she has accrued in her field. As in all Marquis Who's Who biographical volumes, individuals profiled are selected on the basis of current reference value. Factors such as position, noteworthy accomplishments, visibility, and prominence in a field are all taken into account during the selection process. A retired federal agency administrator and former ambassador, Ms. Jacobs spent the last year and a half of her career from 2016-2017 as the State Department's first Transparency Coordinator. Appointed by Secretary of State John Kerry, it was a newly created position to help improve the State Department's record management and transparency systems. Following her retirement, Ms. Jacobs spent the fall 2014 semester as a visiting lecturer at her alma mater, Southern Illinois University, teaching classes on terrorism/counterterrorism, the Middle East and immigration reform. Enjoying a wonderful career where she had the opportunity to serve in a number of capacities in Washington, D.C and abroad, Ms. Jacobs was previously appointed as U.S. Ambassador to Senegal and Guinea-Bissau by President George W. Bush. She was later nominated by President Obama and confirmed to be Assistant Secretary of State for Consular Affairs. Joining the U.S. Foreign Service in 1980 and later retiring in April 2014 from the U.S. Department of State after a 35-year career, Ms. Jacobs traveled to such locations as Matamoros, Mexico as the principal officer of the American Consulate, Paris, France and Lagos, Nigeria as a consular officer and Ethiopia as a consular chief. During her career, Ms. Jacobs also served in the State Department's Visa Office, Operations Center and Office of Cuban Affairs. Prior to her career in government, she taught for a brief time as a teacher of both French and Spanish at Edison Junior High School during the 1969 academic school year. Ms. Jacobs earned a Bachelor of Arts in French at SIU, followed by postgraduate work at Florida International University and Master of Science in national security strategy at National War College. Following in the footsteps of her father, Ms. Jacobs always had a strong interest in international affairs and international exchange. Her father was employed by the U.S. Agency for International Development and, as a child she and her family traveled overseas where she lived in Ethiopia and attended a French school where she learned to speak the language. After Ethiopia, the family moved to Bangkok, Thailand where she attended fifth and sixth grade. In the mid-1960s, Ms. Jacobs' father took a sabbatical from USAID, accepted a position at SIU where he served as the Dean of International Programs. Ms. Jacobs has been certified as a teacher in the state of Illinois. She has since been a member of both Phi Kappa Phi Honor Society and Sigma Kappa Sorority. Ms. Jacobs also earned an Honorary Doctorate in Public Service from Southern Illinois University in 2018. One of Ms. Jacobs' most notable memories from her career was the work she did after September 11, 2001 as Deputy Assistant Secretary for Visa Services. An incredibly important but difficult task, she and her team were able to make significant changes as well as heavy lifting on change management. She has also been the recipient of several Presidential Rank Awards and Superior Honor Awards from the Department of State. She has been cited in more than 30 editions of Who's Who, including Who's Who in America, Who's Who in American Politics and Who's Who in the World. Married to Kenneth B. Friedman since 1985, Ms. Jacobs has two children from a previous marriage, one of which is in the Senior Foreign Service where he is currently residing in Mexico City with his wife, who is also a Senior Foreign Service Officer. In recognition of outstanding contributions to her profession and the Marquis Who's Who community, Janice L. Jacobs has been featured on the Albert Nelson Marquis Lifetime Achievement website. Please visit www.ltachievers.com for more information about this honor.